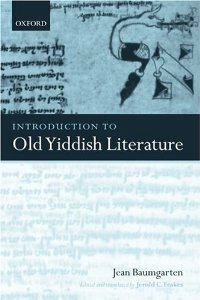 This book provides a survey of the broad and deep literary tradition in Yiddish. The book is a study of an entire culture via its literature, and thus it sees literature in a broad sense. It begins with four chapters addressing pertinent issues of the larger cultural context of the literature and moves on to a consideration of the primary genres in which the culture is expressed: epic, romance, prose narrative, drama, biblical translation and commentary, ethical and moral treatises, prayers, and the broad range of literature of daily use — medical, legal, and historical.